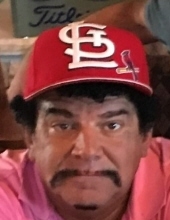 Gerald Paul “Gerry” Hench, 61, passed away unexpectedly at his home on Thursday January 24, 2019. He was born in 1957 in Washington D.C. and moved with his family to Lexington, KY in 1964. He graduated from Tates Creek High School in 1975 and attended Indiana University. Gerry was a lifelong music lover with a special fondness for Frank Zappa, The Rolling Stones, Captain Beefheart and Neil Young. He was also an animal lover who kept and cared for cats throughout his lifetime. Gerry was a stellar athlete in his youth and an avid sports fan as an adult, loyal to his chosen teams through thick and thin, including the St. Louis Cardinals, Los Angeles Rams and Louisville Cardinals. He was a spontaneous gift giver and extremely generous tipper bringing people who were down on their luck to tears with his generous giving on multiple occasions. A true heart of gold. He was a dedicated employee at GRW Aerial Surveys in Lexington for the past 24 years. His wit, humor and unique outlook and insight will be missed by all who knew him. He was a beloved uncle to numerous nieces and nephews. He was preceded in death by his mother Arlene Storz Hench and his sister-in-law Mary Theresa Hench. He is survived by his parents Richard and Barbara Hench of Lexington, KY and siblings David (Debbie) Hench of Taylorsville, KY; Elizabeth Hench of Lexington KY; Bill Hench of Nashville, TN; Dave Hench of The Villages, FL; Rob (Jeanine) Hench of Lexington, KY; and Mitch (Wendy) Hench of Columbus, OH. A celebration of his life will be held from 3:00 to 5:00 on Saturday February 2, 2019 at the Clark Legacy Center at 601 E. Brannon Road in Nicholasville, Kentucky. In lieu of flowers, the family asks for donations to the Lexington Humane Society or other charity of your choice. To send flowers or a remembrance gift to the family of Gerald Paul Hench, please visit our Tribute Store. "Email Address" would like to share the life celebration of Gerald Paul Hench. Click on the "link" to go to share a favorite memory or leave a condolence message for the family.